Where do you want to go birding in Peru today? ....Coastal Chile, Peru and the Humbolt Current - by Angus Wilson. The Humbolt Current brings cold Antarctic water to the surface along the coast of Chile and Peru, supporting an immense fish population which in turn attracts great numbers of seabirds. An exciting host of species are endemic to the Humbolt Current: Humbolt Penguin, Markham's Storm-petrel, Hornby's Storm-petrel, Peruvian Diving-Petrel, Peruvian Pelican, Peruvian Booby, Guanay Cormorant, Red-legged Cormorant, Grey Gull and Band-tailed Gull. The Coastal Region - which supports an abundant and varied population of sea and bird life. Islas Ballestas and the Paracas Bird Reserve on the Peninsula de Paracas are the coast's most notable wildlife sanctuaries. the premier birdwatching location in Manu due to its carefuly planned location at the center of a mozaic of micro-habitats. The owners are birders and the lodge has been planned for birders.The 30 plus kilometers of carefuly planned trails bisect the diferent micro-habitats including varzea, transitional floodplain and tierra firme forests, large stands of bamboo and successional willow and tesaria habitats. The lodge also has access to two diverse ox-bow lakes, a large Macaw and Parrot lick, 2 walk up canopy towers in canopy emergent trees and a blind at a small forest clay lick attracts smaller forest parrots, Guans and Currasows. The lodge bird list stands at an astounding 566 species. Manu is simply the birdiest place anyone could travel to, a pristine reserve where avian speciation reaches dizzying proportions. Although the itinerary was designed to concentrate in a few areas, our list still topped 500 species and we were all aware of the birds that we might have seen if only we had a little more time…..
found at lower altitudes, altitude zonation has strongly influenced the avifauna; there are over 132 bird species between 3,000m and 4,100m. More threatened species include nine endemics to the country and five species of restricted distribution, found otherwise only in the northern part of Bolivia. The park is the northern limit for the distribution of a variety of scarce species. bird species of the 112 that have been recorded include Gurney's buzzard, Andean condor, giant hummingbird, giant coot, and ornate tinamou. the High Andean Plateau of the Central Andes, is shared by Argentina, Bolivia, Chile and Peru. It is a cold, desert region with intense solar radiation and strong winds which cause extreme temperature variations. Yet in the middle of this desert landscape, the greatest explosion of life is without a doubt associated with the lakes and 'salares'; the great variety and number of birds, many of them endemic to La Puna, is particularly striking. Hemisphere Shorebird Reserve Network. The Paracas National Reserve is the most important point along the Peruvian coast for many species of mammals, including two species of seals, 160 species of birds, and numerous fish and shellfish. It hosts large colonies of guano birds. There are tens of thousands of shorebirds that feed about 15 miles north at the Río Pisco Mouth, and spend the night within the reserve boundaries. notable bird species of the 112 that have been recorded include Gurney's buzzard, Andean condor, giant hummingbird, giant coot, and ornate tinamou. rainforest, found in Peru, is known to have the greatest diversity of flora and fauna found in the world. Biologists refer to this region as the "green paradise" of the Amazon forest. Andes - 11 July 2002 - August 30th 2002. By Tim Allwood. The whole trip was absolutely stunning and I’d thoroughly recommend it to anyone. It’s got to be up there as some of the best birding in the world - some people say it is the best. A trip that incorporates the high Andes and the lowlands will produce an excellent trip list and a stunning example of how bird distribution changes with altitude, often over very short distances. The birding is difficult, particularly in the lowlands and we were grateful to have Dave with us to help with the ID of lots of birds and teach us a few of the calls too. This is not a detailed report telling you which bird was in which tree and when etc. but is intended as an overview of the area. Harold Armitage. The Tambopata research Centre was featured in the B.B.C. documentary "Look who's talking". It was too much for my wife. Twelve months later we set off on an expedition to the Tambopata Research Centre and the adjacent "clay lick" where hundreds of parrots come daily in order to eat clay. It is assumed this protects them from the poisonous seeds which is a major part of their diet in the dry season and possibly provides trace minerals. talked my wife Ellyn into participating on an Earthwatch expedition, and we were in Manu National Park in Peru, volunteering our labor on a hummingbird research project. We were trying to capture as many hummingbirds as possible so their flight characteristics could be tested, but there's no such thing as a net that catches only hummers -- we spent perhaps two-thirds of our time extracting other birds and freeing them. Amazon River, Machu Picchu, Cusco, and Lima - 7/17-30/04. This profusely illustrated photo journal makes it seem like you are really there! ....Trip Report: Peru - July 24th - August 16th 2003. By Simon Woolley. What follows is a blow-by-blow birding account of a 3+ week trip made by 'Peru Crew 2003' (Julia Casson, Jacky Harris, Chris Mills, Simon Woolley).We started planning the trip at Christmas 2002, once we'd decided on a likely destination (Malaysia and South Africa had been in the equation at one point). Having looked at a variety of options, ranging from total self-organisation through to a fully-serviced Manu Expeditions tour, we decided on our now regular format of a 'modular' bespoke tour with a Peruvian company. morning of October 2, the three of us jumped into my trusty Rodeo and left Quito in the dark. Twelve straight hours in a car is never too much fun, but after a few hours birding in the morning waiting for the border to open (Slaty Becard), we crossed into Peru without incident and started a whirlwind trip to most of the best sites of northern Peru. The original plan was just to check out some sites for Tropical Birding's upcoming Tumbesian Endemics tour, but it didn't make sense to drive all that way and not visit the Marañon valley with its suite of endemics. We're sure glad we did, since we ended up seeing almost all of them! 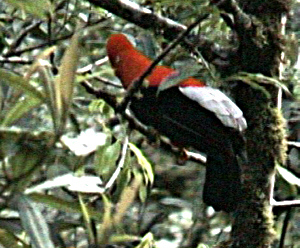 Then it was only a short drive to get to the eastern slopes of the Andes with it's own avian treasures. See also their trip report for Manu in 2003. Adventure around Lima – 2-7 September 2002. By David Chantler, with input from Peter Bono and Hugh Buck. Our 6-day pre-trip turned out better than any of us had expected—we certainly saw more birds than we had planned for and much of it was due to the exceptional leadership of Barry Walker. This little adventure is highly recommended, even for veterans of South American and Peru travel, because it offers the opportunity to see a number of birds that are overlooked on longer tours or that are awkward to fit into those longer tours. ....Trip Report: Northern and Central Peru - July 21st – August 20th 2000. By Simon Allen. After a very successful trip last year, I was delighted to have the opportunity to return to northern Peru in the summer of 2000, to lead the same tour for Kolibri Expeditions, in addition to visiting a number of little-known areas in the centre of the country. See also, Simon's 1999 report. Evelien Goldbach. Following two earlier trips elsewhere within South America (Brazil, 1995 and 1996) this was our first trip to Peru and therefore we chose a combination of habitats bringing us in very diverse landscapes: firstly the rainforests of Peruvian Amazonia (Explorer's Inn in Tambopata NR), then the High Andes (Cusco, Ollantaytambo, Machu Picchu and the Abra Malaga pass), and finally the coastal area of Paracas peninsula, including the Islas Ballestas. Ripley. It’s almost a surreal memory now – a week in a world of riverboats, tropical rainforests, scenic rivers, exotic flora and fauna, perfect weather and memorable friendships. What an amazing journey we had to the Amazon Basin.This excellent trip report is illustrated with many photos. ....Trip report : Peru by Didier Godreau – August 12 to 28, 1999. ....Trip Report: Peru, Ecuador, and Colombia - 6 June – 5 August 1999. By Samuel Hansson with Mathias Bergström. Mathias and I had only met once before, very briefly, when we decided to make this journey together. As Mathias only had 4 weeks of vacation to spare, I decided to continue on my own after he'd gone home. South America is fantastic and the birding unrivalled! As long as you keep yourself well informed about where it's safe to go and not, and as long as you use your common sense, you should be safer in Peru, Ecuador, Colombia or any other South American country than in many European or American cities. Meedom & Ulrik Andersen. (NOTE: this is a downloadable report from the Danish Ornithological Society´s website). In July and August 1997, the excursions committee of the Copenhagen chapter of the Danish Ornithological Society (DOF) carried out its first tour to Peru. The tour was designed to give the participants a good coverage of the most typical habitats and of the biodiversity of the country. We concentrated on four main areas: The arid coastal areas between Lima and Paracas, the high Andes between Lima and Lake Junin, areas in and around the Cusco valley and the famous Manu biosphere reserve. Geale. It was our first experience in the true amazonian lowlands. We got an invitation from the lodge owners. The trip was offered as alternative to more expensive lowland Manu, and it stands up very well as such and many of the key birds of the Manu area are actually easier to get at Tambopata. Combining at least three lodges in the region one can get a very good selection of habitats. Owenby. Our destination is the Manu Biosphere Preserve in the southeastern lowlands, where live perhaps the greatest diversity of birds on the planet. ....Trip Report: Manu, Peru - October - November 2000. By Nancy Lee. I just got back yesterday from the IAATE Peru Bio-tour guided by Charlie Munn and Steve Martin. It was the most vivid, memorable, fun experience I've had in my adult life ( and I must again thank my husband for arranging this trip as a midlife birthday surprise). We traveled by bus from Cuzco over the Andes and then down again to the Amazon basin, seeing several distinct ecosystems along the way. Scrub forest, elfinwood, cloud forest and rain forest were the main ones I think, with sub-types between. Each type of forest hosts its own set of indiginous species. ....Birding Trip to Manu, Peru - November 2000.By Roger Boyd. ....Trip Report: Southeast Peru - 8 May - 1 June 2000. By Garry George. The unique thing about the itinerary of this trip was the ability to spend time in all the habitat zones. The Manu Road from Cusco to Atalaya travels through all of the zones (except Polylepis forest) with prolonged stops at different elevations. Hornbuckle. We only had time to visit Bosque Ampay and the Rio Apurímac Valley, spending the rest of the time driving to Lima with some birding stops. Bosque Ampay was good, meriting longer than we had available, but the Apurímac Valley was disappointing. Our final day was spent going up to Marcapomacocha Road returning down the Santa Eleulia Road. See also Jon's 1998 Report. Andes, 11 July 2002 - August 30th 2002, by Tim Allwood. This report details a trip to Peru made by myself and my partner Claire Stephenson. The whole trip was absolutely stunning and I'd thoroughly recommend it to anyone. It's got to be up there as some of the best birding in the world - some people say it is the best. A trip that incorporates the high Andes and the lowlands will produce an excellent trip list and a stunning example of how bird distribution changes with altitude, often over very short distances. from Blake Maybank's "Birding the Americas: Trip Report and Trip Planning Repository". 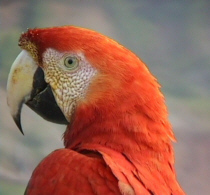 Girdley's BirdTours website by following the South America/Peru link from the main page. requirements of the Harpy Eagle and other large raptors in the territory of the Infierno native community in the vicinity of the Tambopata River, Peru. The project, which is being conducted by the Communidad Nativa Ese'eja de Infierno, is working to locate and protect eagle nests from disturbance and hunting, and is developing a community education and ecotourism outreach project in the area. Visitors can stay at the Rainforest Expeditions lodge and explore the forest and the culture of the indigenous community. This project is also supported by the U.S. Fish & Wildlife Service. To find information on visiting the area see the Rainforest Expeditions web site. birdingpal.com...>> A Birding Pal is not a paid guide, but someone who likes to help out of town visitors. You can become a Birding Pal today! Help someone to enjoy your local birding spots and find a pal to help you when you travel. Click here for Peruvian Birding Pals, or join to be a Birding Pal! otherwise) required to join and there are no age limits whatsoever. operator and outfitter, specializing in birding tours to Peru. They are the longest established bird tour operator in Peru and Bolivia and, being birders themselves, can cater for your birding needs. avid birder looking for a quality and amazing birding tour experience in Peru, Bolivia or Chile, we have that birding trip for you. We cover all birding areas of these countries including what is probably the best birding trip in the world, birding Peru's Manu Biosphere Reserve from the high altitude Puna Grasslands, thru lush Cloud Forests to the incomparable Amazon Rainforest. Travel with us and we will ensure that you have the most complete birding experience ever with expert neo-tropical bird tour leaders! offered by Neotropical Journeys are designed to visit destinations with rich avifaunas, outstanding wildlife, wilderness and cultural significance at their seasonal best. Neotropical Journeys is actively involved in regional and local conservation projects and organizes tours aimed to raise funds for bird and nature conservation. wilderness and a true wonder of Nature! We cater to people who want to "do things" and who want to experience the Amazon to the fullest. As a family owned and operated business, we have outfitted expeditions to the Peruvian Amazon since 1983. We know the Amazon and its people well, and take great pride in our service. with the goals of providing birders with affordable, reliable, and knowledgeable service in Peru. As well as promoting and providing sustainable ecotourism, Birding Peru also is involved in conservation of Peruvian habitats, and a portion of your payment goes directly to conservation projects in the very areas we visit on our trips. other services for bird watchers. Nature Tours (VENT) - This trip offers participants an opportunity to visit one of the wildest and most pristine rainforests on the planet–a region where all of the top predators from Jaguars and Harpy Eagles to the smallest prey species are still present. Now this priceless area can be visited in comfort with good lodges at all three places we visit. The huge Manu National Park of Peru and its surrounding biosphere reserve, spanning over four and a half million acres, preserves an entire ecosystem–not a single element is missing or removed. This is a place where humans still exists in a natural environment. Such a statement can be made for relatively few other places on earth at present. Manu National Park - August 4 - August 22, 2004 (18.0 days - Limit 14) with leaders Steve Hilty & TBA. See also the Machu Picchu Extension August 21 - August 26, 2004 (5 days - Limit 14. Peru is a land of contrasts, from mangrove swamps and stark, coastal deserts to dripping wet, epiphyte-laden cloud forests, and from deciduous forests dominated by huge bombax trees to wind-swept páramo above treeline. This region harbors not only a diverse avifauna, but one that is highly endemic with many species that can be found nowhere else in the world. This new tour is designed to survey the incredible diversity of the region while maximizing the number of endemics seen. Northern Peru - October 24 – November 10, 2005 (18 days – Limit 14) with Kevin Zimmer & Barry Walker. See also Tumbe extension (November 9 to 15, 2005). Canopy Walkway with Victor Emanuel Nature Tours (VENT) - Three lodges in Peru are visited: the Explorama and Explornapo Lodges, as well as the ACEER (Amazon Center for Environmental Education & Research) lodge adjacent to the newly completed rainforest canopy walkway. The first lodge is located downstream from the port city of Iquitos and adjacent to the Amazon River. The other two are 50 miles further downstream and near the mouth of the Napo River. Good trails provide easy access to seasonally flooded varzea forest, oxbow lakes, and upland terra firme forest. Amazonian Peru - January 23 - February 2, 2005 (11.0 days - Limit 14) with leaders Steve Hilty & TBA. See also the Machu Picchu Extension Feburary 1 - 7, 2005 (7 days - Limit 14). np..Amazonia Lodge - Amazonia lodge is the perfect place to see birds. It is an old tea plantation in the Andean foothills and is now being allowed to return to original forest. There are miles of good trails, a long shady entrance road, and lots of spectacular birds and primates. Part of the allure, of course, is that more than six hundred species of birds have been recorded on the property of the Hacienda Amazonia. np..Tahuayo Lodge - in the Reserva Comunal de Tamshiyacu-Tahuayo. Travel to the lodge requires that you fly into Iquitos, Peru. From Iquitos we take you by boat up the mighty Amazon River, for a distance of about 50 miles, then up the Tahuayo tributary, another 40 miles. All guests of the lodge are allowed unlimited canopy access (using a zip-line canopy system). Manu foothills is the obvious choice for the second night on a road-and-river entry to the Manu lowlands. This 16-bed lodge with communal toilets and showers is owned and operated by a family of long-term rain forest pioneers in partnership with the two conservation groups Selva Sur and InkaNatura. Though the lodge clearing offers superb birding without even stepping into the forest, the 20 km of gridded forest trails in all habitat types offer unparalleled access to the world's finest birding forests. .
have been made in Peru.